The potential of video surveillance has been demonstrated time and time again in its ability to protect facilities, offices, campuses, and other spaces. But scaling this potential to large cities is a challenge unto itself. Cities are large-scale environments that are made up of a wide range of public and private interests. While many of these interests may have their own video surveillance solutions, it’s unlikely that they’re integrated together in any meaningful or useable way. But if cities want to protect themselves from modern threats such as terrorist attacks, integrating of localized video surveillance on a large scale is exactly what needs to happen. First responders need every resource at their disposal in order to respond to a security threat. To not integrate the multiple video surveillance systems run by countless public and private interests would be to deny first responders resources that could be used to respond to or even deter a threat altogether. 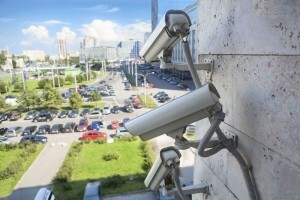 So how can the task of integrating video surveillance on a wide scale be accomplished? With enterprise command center platforms (ECCP). Enterprise command center platforms offer the ability to integrate video surveillance on a city-wide scale. An enterprise command center platform is essential a one-size-fits-all solution that allows video surveillance data from different sources to be integrated into a centralized system. This is necessary because different localized systems will inevitably have differences that will not allow them to communicate with each other directly. ECCP solves this problem by receiving communication and data from all platforms, and making it available from a central platform. In this way, all parties that have an interest in the security of a city can access surveillance camera footage from anywhere at anytime. This ensures that available resources will not go to waste. For example, if a security event is taking place in a part of the city where first responders don’t have access to their own surveillance footage, they can utilize footage from other parties in the area made available through the enterprise command center platform. This entry was posted on Thursday, May 21st, 2015 at 2:21 pm. Both comments and pings are currently closed.